Hey Folks, if you are searching over the internet for a Way to Increase Download Speed in Android Phone and fed up with slow downloading speed in your Android Device Smart-Phone, then this guide is really specially for you. Increasing Download speed in android device is one of the biggest question ever. So in This Post, I’m gonna tell you about All Possible ways for increase Download Speed in Android Device, for Boost Up download speed. Previously we were shared – Remove System apps For Increase the android Ram. So Guys I have posted all the possible best way ever forever for boost Download speed in your android device with Step by step Tutorial, So, Let’s have a look on it now from below. As Usual You all know that Without Internet Access, You Can not Do Much Things in Android or any other Smart Phone. Using Internet in Android Device is very common these days i Think, and downloading stuffs in Android device is very important these days. As you all know that Some people download movies, Music, Software, Games etc. in their Android Device. But most of the time, People don’t Satisfy with Download Speed in Their Device. I have posted best ways ever for boost / Increase download speed in Android. With My personal Experience These Tricks will work for sure because, I have tested it many times, and found it working. also have a look at – Create Unlimited Facebook. So Simple follow from below. As you all know that ADM Stand For Advance Download Manager (ADM) using in android device is very similar along with idm. 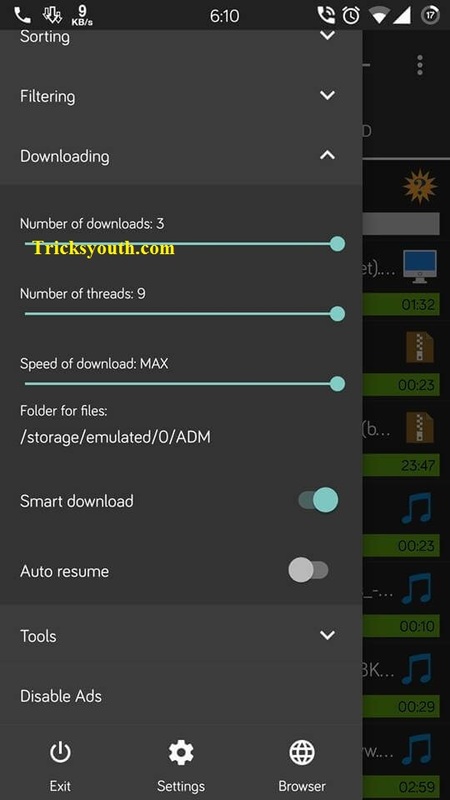 I am also using ADM in my android device for downloading stuff, From last 3 Years and I found it is the best ever download manager for android devices. See that It Splits the files in multiple parts (Up to 9 parts) for give you a Maximum possible download speed in android device. So simply checkout the some of the best Android Tricks steps from below with the easy best ADM settings for boost up download speed in android, which I am using in my Android Device. After the Download Completed ADM Install in your Android phone and Open it and click on Top Left Button. When you Configure these Settings, Try to Download Some Stuff in your Phone With ADM, You will Get maximum Download speed in your phone with this Guide. As you all know that there are so many Clone Apps are available on Play Store, for Boost WiFi Signal / Mobile Data Signal in android device. But only some of them do their work. I have found one cool app, which is working for Boost Signal, and give your Maximum Possible Download Speed. Here I have provided the Download link of Internet Signal booster app, Which you can use in your Android Phone right now for get maximum available download speed. 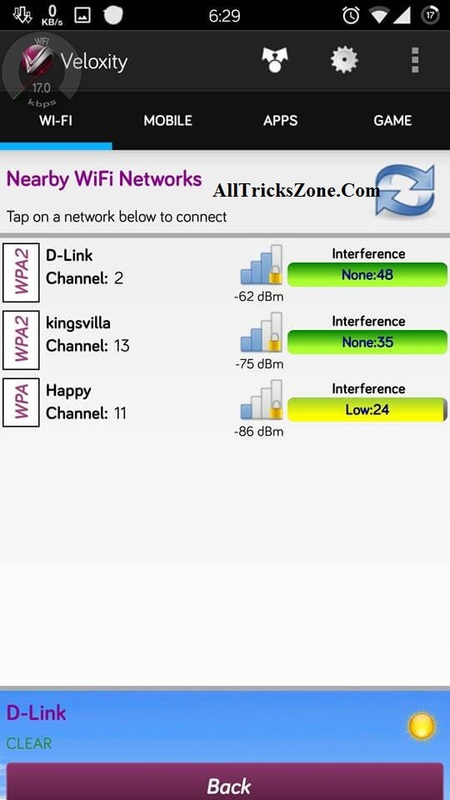 This app will show you signal Strength of available WiFi Networks | Mobile Data. So you can check, Where is thee strong signal available, nearby your so you can go to that place, where strongest signal available, for get fastest download speed. This Guide for those who’s using WiFi Connection So if you are also using WiFi Network in your android phone and some other people are also connected to your WiFi and using it because of other clients are also connected in Same WiFi and using WiFi Data so you will get lower download speed in your phone, so in this case you can use WiFi Killer app, for Kill WiFi Connection of the other people and speed up Download Speed in your Phone Easily. Previously we were shared – Android id Changer. If you have not Restarted your Modem from Long time, and you are getting slow download speed in your phone, which is lesser than provided by your ISP This is just because your router saved some garbage data, then you can try to restart your modem, Sometimes Some low quality modems can’t handle too much pressure of the data connection, so they do some throttling in Router, Which cause slower internet / download speed. So try to restart your WiFi Modem once, it will boost Download speed for sure. Most of the network Providers Do Throttling on data connection, if you are using data in your Sim Card from long time. So Try to disconnect data connection from your phone, and wait for 1-3 Minutes, after that try to connect with your Data Connection again Or simply restart your Mobile, Yeah.! Now you will see the different in download speed. Hope it works for you. So Guys, This was the one of the easy way for boost / Increase download speed in android devices. This Guide will surely increase download speed in your android phone, without any issues. Feel free to comment in the below section if you have any issue / problem regarding this articles. i will try to help you for sure, thanks for come here stay tuned for more Android and Facebook Tricks youth.